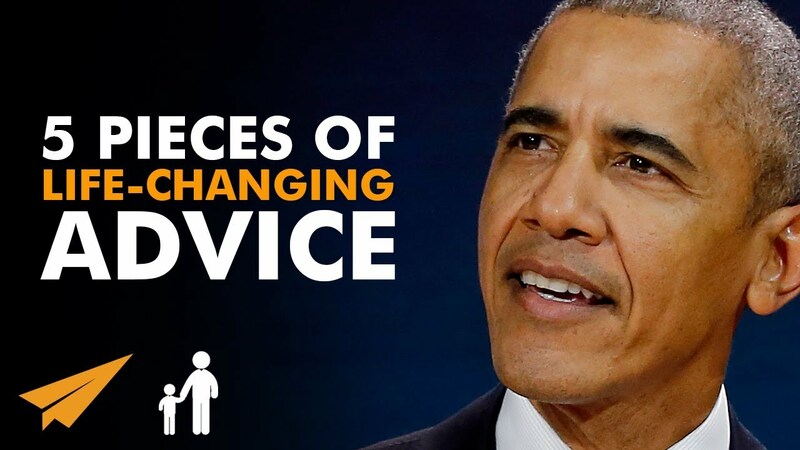 ✎ In today’s #MentorMe video, learn what is Barack Obama’s best advice on failure, making excuses, and success! ✎ Obama was born in 1961 in Honolulu, Hawaii, two years after the territory was admitted to the Union as the 50th state. Raised largely in Hawaii, Obama also spent one year of his childhood in Washington State and four years in Indonesia. After graduating from Columbia University in 1983, he worked as a community organizer in Chicago. In 1988 Obama enrolled in Harvard Law School, where he was the first black president of the Harvard Law Review. After graduation, he became a civil rights attorney and professor and taught constitutional law at the University of Chicago Law School from 1992 to 2004. Obama represented the 13th District for three terms in the Illinois Senate from 1997 to 2004, when he ran for the U.S. Senate. In 2007, Obama sponsored an amendment to the Defense Authorization Act to add safeguards for personality-disorder military discharges. Obama held assignments on the Senate Committees for Foreign Relations, Environment and Public Works and Veterans’ Affairs through December 2006.